Camp Sparkle at Gilda's Club! - Energetic Juniors - Contact Us! Camp Sparkle at Gilda’s Club! Gilda’s Club in NYC is an amazing place that provides much needed services and support for adults as well and families. This July and August, EJ trainers conducted Fun Fitness classes once again at their Camp Sparkle. Everyone had a blast, and we can’t wait to go back this winter! 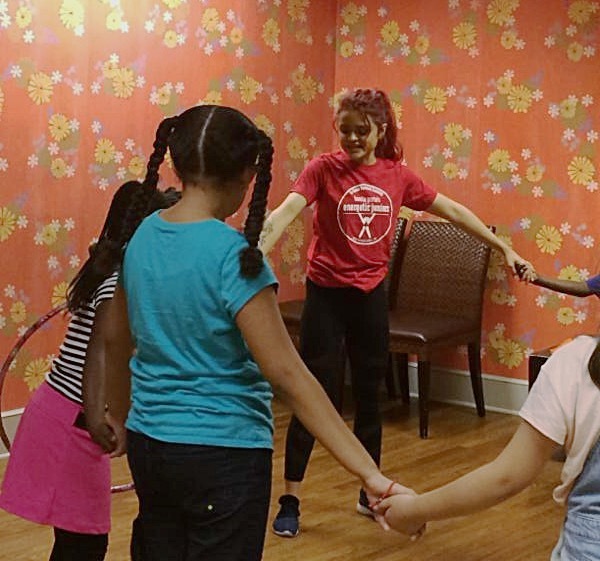 We always love having FUN with fitness games, dancing and boxing with the children at Gilda’s Club NYC. Here’s to many more giggles and fun!